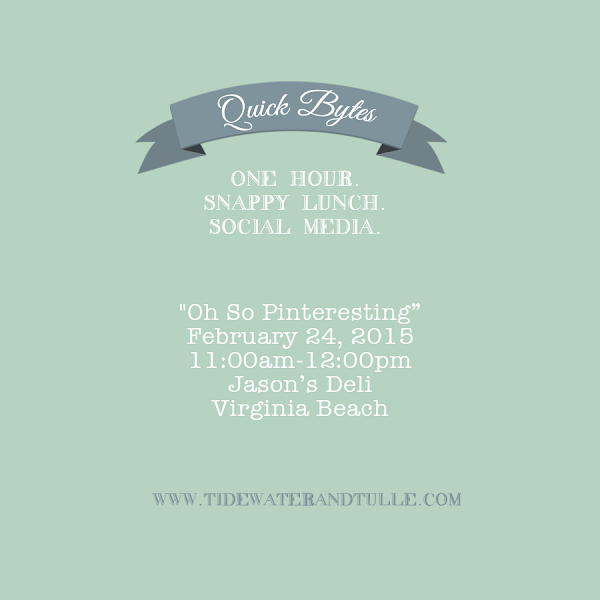 Last month by popular request, we brought back our social media lunches called Quick Bytes, and we made ourselves at home in Newport News! It was all about Facebook and its ever-changing environment and how it relates to us as small business owners in the wedding industry. We chatted about understanding and applying analytics, how to really understand how Facebook interacts with our businesses, and some tried and true campaigns that everyone has done to help with engagement. Wanted to come to Facebooking It but couldn't? Head over to these amazing local pros' Facebook pages as they're applying what they know! We're tackling Pinterest this month (two weeks!)... so here's your chance to REGISTER TO JOIN US! 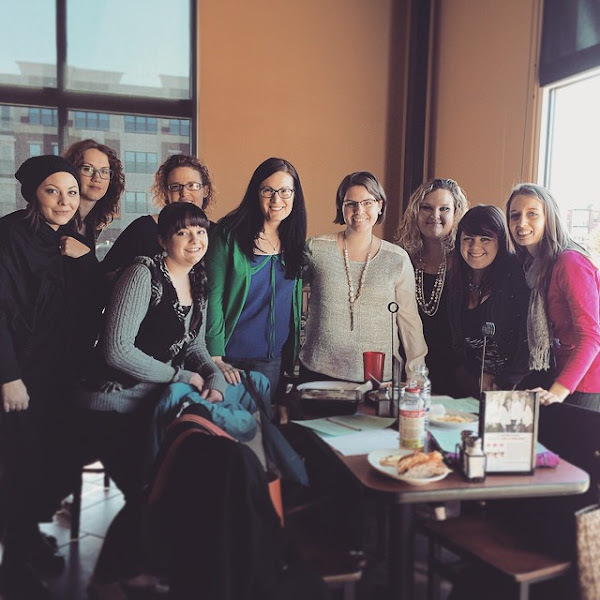 Spots are limited to just 10 people to keep it focused on quality and one-on-one.